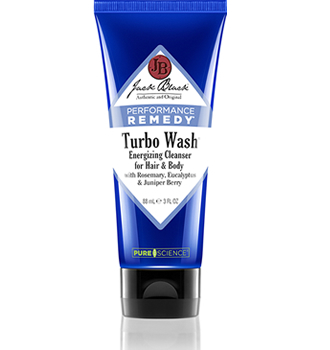 Designed for the athletic male, Jack Black Turbo Wash cleanses completely and awakens the senses for peak performance. 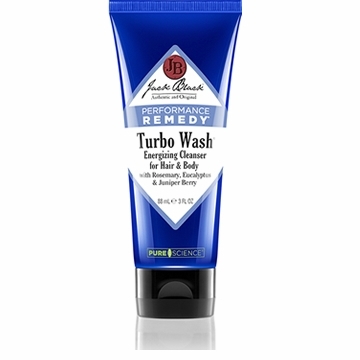 An all in one body and hair cleanser, Turbo Wash features Rosemary, Eucalyptus and Juniper Berry. Rosemary and Eucalyptus help reduce bacteria on the skin surface, while Juniper Berry helps detox the body and assists in recovery.